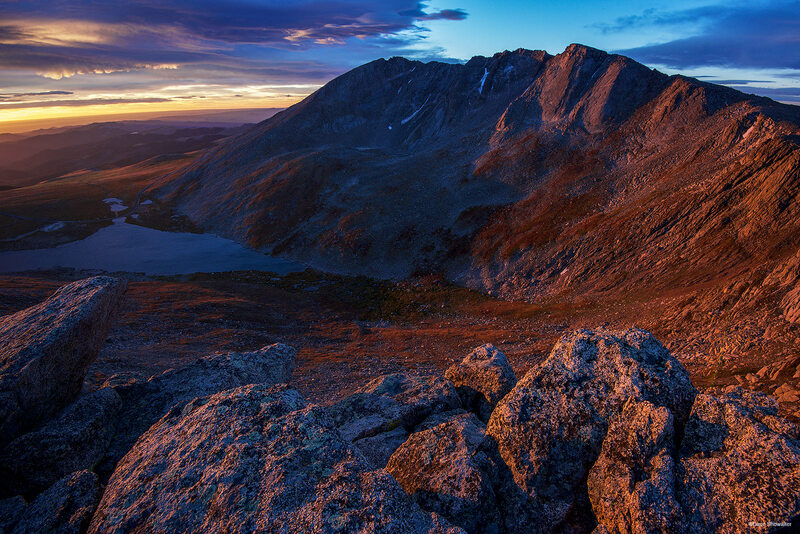 The mighty north face of Mount Evans catches sidelight from sunrise over Colorado's eastern plains. Evans' (14,271') uplift is stunning from Denver and the Front Range shortgrass prairie, with granite walls rising vertically from Summit Lake. The viewpoint is Mount Spalding (13,842'), a sister peak in the Mount Evans massif.